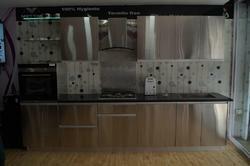 Our range of products include Stainless Steel Modular Kitchens such as Pantry Pull Outs and Plane SS Kitchens. 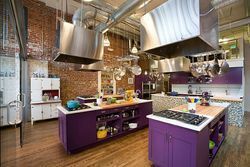 These kitchens are thoughtfully and aesthetically designed and are heat resistant. 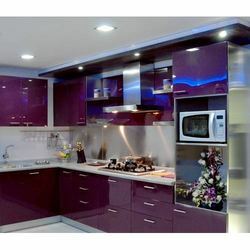 We use food grade stainless steel and quality wood/glass to fabricate these kitchens and customize these as per the specifications. 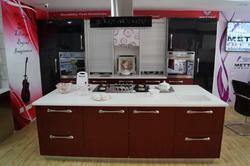 We offer premium quality L Shape Steel kitchens which are also known as modular kitchens. 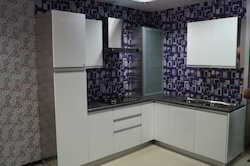 It has storage cabinets attached to the walls where crockery items can be stored. It is available in different patterns and in multi colours. It contains a ready made gas stove and has a smooth finish. Our product range encompasses elegant modular kitchens, High End Kitchen, stainless steel modular kitchen and island kitchens. These products are highly appreciated for features like reliable performance,rigid construction,corrosion resistant finish, sophisticated designs, elegant looks,longer service life,optimum quality & excellent performance,these are widely used in kitchens,hotels,restaurants,& industrial canteens. We export our products all over the world. We provide quality Stainless Steel Bottle Pullout which comprises of broad cabinets to store bottles of different sizes. These open systems consist of soft close options and is dimensionally accurate. It is heat and weather resistant. It is long lasting and easy to handle. It is widely used for commercial purposes. It provides maximum use of space. It is available at a reasonable price to our clients. We offer wide range of Stainless Steel Wall Units Lift Up. The key function of Stainless steel wall units lift up is that these can be kept open in the position we want to keep them. These wall units with lift-ups allow it to withstand heavy loaded kitchen articles. They are easily accessible for the user within the kitchen. It comprises of comfort and beauty. These maintain the uniformity of the kitchen and are easy to clean. It is tear resistant and provides a hassle free service. Changing lifestyles suggest that people are getting inclined towards luxury. 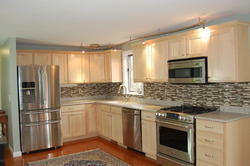 We offer an organized Colored Stainless Steel Modular Kitchens which makes cooking enjoyable and time saving. Stainless steel is also green and safe to use. 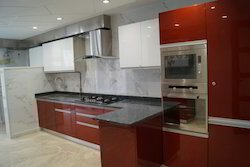 We manufacture supreme quality stainless steel modular kitchens also for those who are looking for environment safe products with no adverse affects on the environment and the people using it. It is recyclable and doesn’t emit and pollution and is ideal for people having chemical sensitivities. 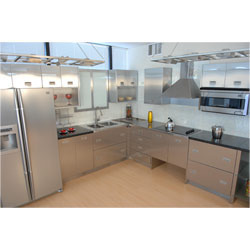 We are dealing in Stainless Steel Kitchen in various colors and designs. 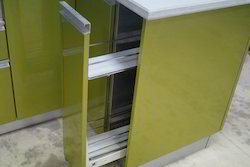 Also offering stainless steel wardrobe and almira sets. 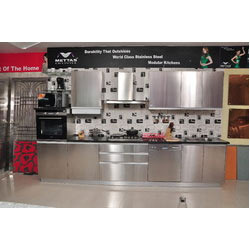 These stainless steel kitchens are constructed from supreme quality of stainless steel which is procured from our most trusted vendors. 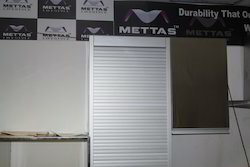 We manufacture supreme quality Stainless Steel Crockery Unit Rolling Shutter which help in placing the crockery items in an organized way and store it properly by using the rolling shutter. It doesn’t allow the crockery items to be misplaced within the shelf and keeps them intact. It is economically priced and is highly resistant to corrosion. It is commonly used in school/college cafeterias, airports and other commercial places. This rolling shutter option is safe to use and easy to handle. Our product range encompasses elegant modular kitchens,Stainless Steel Kitchen, stainless steel modular kitchen and island kitchens. These products are highly appreciated for features like reliable performance,rigid construction,corrosion resistant finish, sophisticated designs, elegant looks,longer service life,optimum quality & excellent performance,these are widely used in kitchens,hotels,restaurants,& industrial canteens. We export our products all over the world. 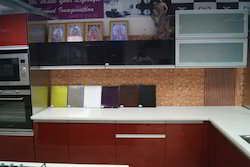 We manufacture premium quality Stainless Steel Kitchen which is pests/termite proof. It is durable and comprises of imported fittings. It has a smooth finish and gives a classy look. It comprises of soft close, broad drawers, corner walls and door hinges which are easy to handle. It is available at an affordable price and is widely used for residential purposes. 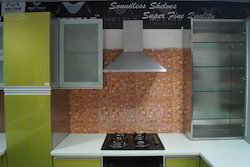 We are offering wide range of Plane SS Kitchens. 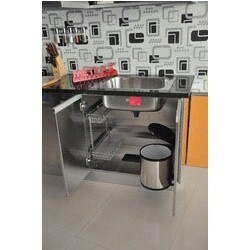 These Plane SS Kitchen are manufactured using quality raw material that is procured from trustworthy vendors. 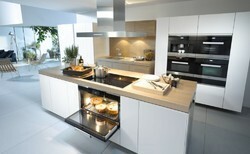 Our range of Plane SS Kitchens comes in attractive design which enhances the look of the modern kitchen. We provide high quality SS kitchen with stainless steel cabinets which comprises of two variants namely, indoor and outdoor. It is ideal for both residential and commercial purposes. 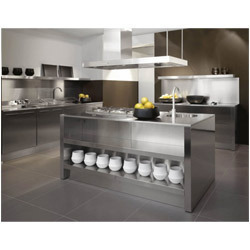 It comprises of a premium design and manufactured using supreme quality stainless steel. 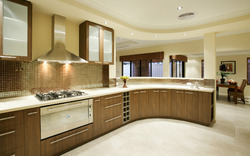 We also offer premium class interior design within the kitchen. It is available in standard and custom sizes. It is used widely in individual homes as well as in commercial places namely, doctor’s chamber, fire station operating rooms and also in government offices. It is easy to clean and reflects a contemporary look. 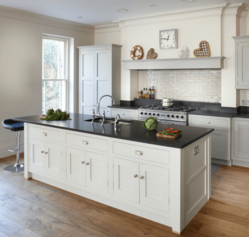 We are engaged in offering an extensive range of Plane SS Modular Kitchens which are made by using very superior and premium quality raw material. 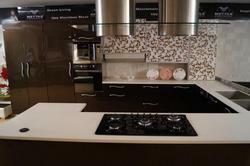 Our array of Plane SS Kitchens are available in various shades and patterns. 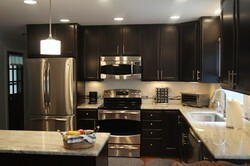 Looking for Stainless Steel Modular Kitchens ?